Worldwide FIS WORLD SNOW DAY were organized by Vuokatti Sport Institute on Sunday 15th Jan 2017 at 10:00-13:00. There was a lot of fun things to do with snow elements. 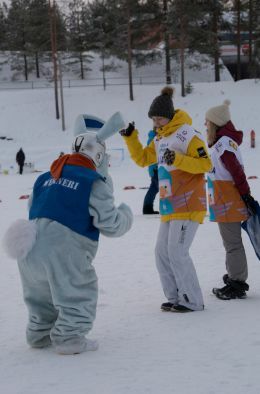 They had chance to try eco biathlon, mini ski jumping, different ski games, slalom, dancing and sleding. We served hot beverages, sausages and some snacks.